Following the outcome of the UK’s referendum on European Union membership, businesses are now faced with the task of assessing any potential implications that the vote to leave may have on their operations going forwards. 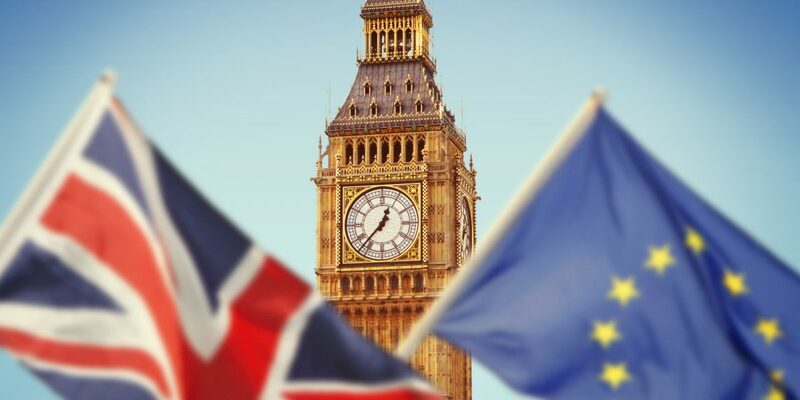 The following is a brief overview of topical analysis, third party opinions, information available from within the industry and official government guidance that has been issued in the event of a No Deal Brexit. Due to the current level of uncertainty, we as a broker are unable to provide any advice on the issue. At this moment in time we feel the best approach is to plan for the worst case scenario; from a trading with the EU point of view, being a no deal exit, which is highly likely to have at least a short term, substantial impact on both import and export lead times. The insurance industry has long been regarded as a largely adaptable sector. Current thoughts are that London will continue to play a major role in the world’s finances regardless of the outcome following Brexit. It is expected that the impact on the London Insurance market will be minimal, at least in the short term. London has been at the heart of the global insurance market for over 300 years, this is not something which will disappear instantly. Any potential effects if any will be long term and Brexit will be one of many contributory factors. The insurance market and wider financial services in general have been recognised and well represented on both sides of the Brexit negotiations. “While many economists had predicted an immediate significant negative impact on the UK economy subsequent to the Brexit vote in June, the 4 months since the vote are perhaps better characterised as the lull before the storm. While the FTSE 100 share index closed near its all-time high on 3 October, it is dominated by exporting firms, the main beneficiaries of the 18% fall in sterling’s value (against the USD). The currency’s continuing weakness is exacerbated by the recent Bank of England interest rate cut and economic stimulus measures. Brexit proponents point to the fact that Office for National Statistics (ONS) data indicate economic growth accelerated faster than anticipated prior to the Brexit vote, with Gross Domestic Product (GDP) growing by 0.7% in the three months to the end of June, up from the initial estimates of 0.6%. However, uncertainty about the future path of Government policy and the reaction of the economy to the forthcoming Brexit negotiations remains very high, and overall the risks are more significant on the downside. The Federation of Small Businesses (FSB) indicates confidence in the small business sector is declining. Inflation is increasing slowly, with the Consumer Prices Index (CPI) rising to 1% in September. The UK is now starting to see raw material prices rise, partly as a result of the falling pound, and it is only a matter of time before this feeds through to consumer prices with a likely resulting knock-on effect on consumer confidence. While the uncertainty surrounding the Brexit vote initially failed to hit house buying or house prices in the UK, Nationwide’s latest figures indicate that annual house price inflation has fallen, from 5.6% in August to 5.3% in September. This is mainly due to the number of houses for sale approaching a 30-year low, a view backed up by Bank of England figures showing the number of new mortgages being approved by banks and building societies falling to its lowest for 18 months. “The impact of Brexit on business in the UK will depend entirely on what scenario emerges from the negotiations between the EU and UK. In the case of a ‘soft Brexit’, where the UK remains in the single market and customs union, the impact on business might be relatively muted. Under such a scenario it is likely the UK would still have to maintain elements of EU law and regulations with little political influence over them. This, however, would facilitate trade with the EU, the UK’s largest trading partner. Restricting immigration has the potential to reduce the pool of talent that business can draw on. But any additional flexibility that the UK may or may not gain in developing trade deals globally would, at the margins, be beneficial. Britain leaving the EU presents as good a time as any for a review of any business’ risk management. The following have been highlighted throughout the insurance industry as potential focus points for anyone looking to get a handle on the implications of Brexit. Rates of IPT have been steadily increasing for a number of years and currently the tax sits at 12%. Many expect the rate to continue to increase and eventually fall in line with VAT. In comparison, the UK’s IPT rate has been low in comparison to the EU. With the pressure to match the rest of the EU now gone following Brexit, insurers may benefit from a potential ease in IPT which would then be passed on to clients. It is expected that policymakers will maintain accommodative monetary policy following the vote to leave. Potentially, this could involve the Bank of England reducing the bank rate or committing to ensuring rates stay lower for longer. There is some expectation that one outcome of a vote to leave the EU may be the weakening of sterling, most noticeably against the dollar. Depreciation against the euro may be more attributable to the potential of a more large scale EU break up as the UK sets the precedent. British Standards Institute (BSI) has stated ISO Standards will be unaffected by Brexit. The BSI plays a crucial role in supporting the worldwide adoption of single standards. Internationally agreed standards are beneficial to all, as they simplify global trade and encourage innovation. The organisation’s interest is to support the growth and development of UK business, but it can only achieve this through collaboration with European and International organisations. Some businesses have concerns that Brexit may impact on the validity of achieved standards or the UK’s influence in future decision making. BSI has recognised that some areas of eligibility may be impacted by Brexit, but a working group has been set up to address these points. The working group has the benefit of assessing viable solutions taken by Norway, Iceland and Switzerland as a guide to addressing potential issues that may arise through divergence. The options include A-deviation; where national regulations prevent compliance with CEN/CENELEC; however the BSI has stated that this measure would only be used as a last resort. As things stand at present, the exit will have no effect on the UK’s participation in the European standards bodies, CEN and CENELEC. The current presumption whereby British Standards are withdrawn in favour of Harmonised European standards has never been mentioned in the debate about Brexit and it seems likely that it will remain for the foreseeable future. Since the majority of the detailed design measures for CE marked products come from standards, there will be little practical change so far as equipment designers are concerned. In the long term, clearly there will be some divergence between UK and EU requirements for product safety. The right of insurers and brokers to passport (that is, to carry out business in other countries from a single country licence) into the EEA could be restricted following the transition period. As a result, insurers wishing to carry on business in other EEA states could be required to obtain licences in each member state, or form a new legal entity based in one of them, depending on which option is adopted. Similarly, an EU insurer could now need an additional licence to carry on insurance business in the UK, or to form a new UK entity. Writing business through local branches will require local authorisation and capital being deposited to support the branch in some cases. Future negotiations will provide greater clarity on the manner in which UK and EU insurers are able to carry out business in their respective countries. It is possible that we could see some insurers with UK operations establishing greater presences in continental Europe in order to more easily operate under the single licence, particularly those insurers who make extensive use of the passporting rights currently. For example, AIG recently stated it is considering establishing an operations centre within the EU following the UK’s vote to leave. Lloyd’s of London is investigating the possibility of negotiating passporting rights across the EU following Brexit. It stated that it plans to work with the UK Government and EU institutions during any negotiations to retain market access for Lloyd’s and the London market and create as much regulatory certainty as possible. With the potential that insurers may not be successful in obtaining these passporting rights following Britain’s exit from the EU, this means that where UK based insurers are offering cover or currently covering customers in EU countries and beyond, potentially they may be unable to continue doing. Where this applies, insurers are making their Brexit plans available to brokers and clients in the event that the worst case scenario should materialise. EU membership has allowed UK citizens to enjoy the same minimum level of insurance protection when driving anywhere within the EU. This is because UK motor insurance policies provide cover to meet at least these minimum requirements throughout the EU as they do in the UK (in line with the Motor Insurance Directives). For businesses operating in Northern Ireland, with the UK’s only land border with an EU state, there is now an uncertainty as to how the territorial limits within a motor insurance policy may need to change and how this will impact citizens crossing the border in either direction to go to work. In a post-Brexit world, UK consumers, insurers and insurance brokers will need guidance from HM Government on whether UK citizens will need to arrange additional cover to their UK insurance, to permit them to drive in Europe. (Previously, UK citizens would have to apply to their insurance company for ‘green cards’ to drive in Europe and for Spain; obtain a bail bond). Where goods need to be imported – such as foreign car parts – we can surmise that there could be a rise in the cost of motor claims. A further issue for insurers is the cost of repairers. For example, there is a shortage of car technicians and builders and maintenance staff – and if some of these roles are filled by Europeans and other immigrants and they choose to leave the UK – then this may mean higher wages and costlier claims. For travel insurance providers, the uncertainty regarding the continuation of the European Health Insurance Card (EHIC) card will need to be addressed. Losing the benefit of the EHIC for UK citizens will result in higher premiums for travel insurance. This will also create a need for employers to purchase travel insurance for their employees when travelling to Europe as they may no longer be able to rely on EHIC to provide assistance in the case of emergencies. The opinion that Brexit could lead to interruption of businesses’ supply chains across Europe is becoming more prevalent. Often these supply chains and their associated relationships have taken years to establish so it is important that these remain as intact as possible. In order to effectively manage this, not only will it be important to understand what measures to put in place to limit any potential issues, but also to communicate with suppliers (be that UK suppliers of EU goods or EU suppliers) in order to fully understand what measures are being taken at their end. One course of action being taken by some businesses is to build up buffer stocks in the run up to March 2019. It is expected that exporters will be considering getting buffer stocks into the UK to accommodate disruption. Businesses will also need to consider the potential effects of a less favourable trade deal with the EU. For example, businesses may need to look at options for sourcing goods from within the UK and investigate the potential effects that doing this may have. In relation to insurances, it will be imperative that arrangements are made to accommodate these buffer stocks, for example the increasing of sums insured. One issue that some businesses may encounter with this approach would be storing the additional materials. As with the previous point, if these are to be stored in temporary containers etc. or in the open or yard, it is important that the appropriate insurance arrangements are in place. To accommodate any potential increase in movement if buffer stocks are the option favoured, ensuring transit and marine insurances are still adequate to accommodate the increase will be vital. To an extent, the decision to leave the EU and the subsequent fallout has left businesses with a degree of uncertainty going forward, particularly in relation to lead times for both short and long term imports. Due to this uncertainty, there is a good argument for reviewing and possibly amending Business Interruption cover. Indemnity periods will no doubt need to be considered, as will sums insured in relation to things like additional increased costs of working. Currently, businesses that import from inside of the EU are treated by insurers as distributors for rating purposes and therefore benefit from a lower rate on turnover in respect of Products Liability. Importers from outside the EU are generally charged a manufacturers rate which is usually considerably higher. This obviously carries an increased risk and with it, higher premiums. There is the possibility that following the decisions made post Brexit, this approach may be taken when it comes to rating businesses who import from the EU. The impact of this at least short term would be higher premiums. It may be worth considering using UK sources in order to avoid this increase in Products Liability rating. It may be that exporters decide to build up buffers of stock to help overcome any of the disruption that has been foreseen. This may be affected by passporting, for example in France there exists a requirement that business placed must be done so through a French broker. If the rest of Europe were to follow suit and implement similar local requirements, the administrative work surrounding business having buffer stocks built up across Europe may become extensive. For example, there would be the potential that if a business had buffer stocks in France, Belgium and Germany, they would need to have arrangements in place with brokers in each country. The government has committed to introduce a Temporary Permissions Regime (TPR) that will allow European Economic Area (EEA) firms currently passporting into the UK to continue operating in the UK for up to three years after exit, while they apply for full authorisation from UK regulators. The government has published in draft the legislation that will deliver the TPR and the financial regulators, the Financial Conduct Authority (FCA) has published its approach to implementing the TPR and the Prudential Regulation Authority (PRA) has also set out its expectations for the TPR. Similar temporary regimes will be provided for EEA electronic money and payment institutions, registered account information service providers, and EEA funds that are marketed into the UK. The government has committed to legislation, if necessary, to ensure that contractual obligations (such as under insurance contracts) between EEA firms and UK-based customers that are not covered by the temporary permissions regime can continue to be met. What would happen to customs and excise procedures in a 29 March 2019 ‘no deal’ scenario? If the UK left the EU on 29 March 2019 without a deal there would be immediate changes to the procedures that apply to businesses trading with the EU. It would mean that the free circulation of goods between the UK and EU would cease. Businesses having to apply the same customs and excise rules to goods moving between the UK and the EU as currently apply in cases where goods move between the UK and a country outside of the EU (customs duty may also become due on imports from the EU – see the separate ‘Classifying your goods in the UK Trade Tariff if there’s a no Brexit deal’ technical notice). This means customs declarations would be needed when goods enter the UK (an import declaration), or when they leave the UK (an export declaration). Separate safety and security declarations would also need to be made by the carrier of the goods (this is usually the haulier, airline or shipping line, depending on the mode of transport used to import or export goods). More detail is provided below. The EU applying customs and excise rules to goods it receives from the UK, in the same way it does for goods it receives from outside of the EU. This means that the EU would require customs declarations on goods coming from, or going to, the UK, as well as requiring safety and security declarations. For movements of excise goods, the Excise Movement Control System (EMCS) would no longer be used to control suspended movements between the EU and the UK. However, EMCS would continue to be used to control the movement of duty suspended excise goods within the UK, including movements to and from UK ports, airports and the Channel tunnel. This will mean that immediately on importation to the UK, businesses moving excise goods within the EU, including in duty suspension, will have to place those goods into UK excise duty suspension, otherwise duty will become payable. After the UK leaves the EU, in the event of a ‘no deal’ scenario, businesses importing goods from the EU will be required to follow customs procedures in the same way that they currently do when importing goods from a country outside the EU. This means that for goods entering the UK from the EU an import declaration will be required, customs checks may be carried out and any customs duties must be paid. Register for an UK Economic Operator Registration and Identification (EORI) number. Businesses do not need to do anything now. There will be further information available later in the year. For those businesses that sign up for the EU Email updates, they will be contacted when this service becomes available. Consider how they will submit import declarations, including whether to engage a customs broker, freight forwarder or logistics provider (businesses that want to do this themselves will need to acquire the appropriate software and secure the necessary authorisations from HMRC). Engaging a customs broker or acquiring the appropriate software and authorisations form HMRC will come at a cost. HMRC publishes tariff information and guidance alongside the list of commodity codes needed to classify goods together with all the tariff rates, and measures. Once excise goods leave a customs suspensive arrangement, they may be immediately entered into an excise duty suspension regime. A business will need to declare the goods on EMCS for onward movement via a Registered Consignor. Further information on how to do this can be found in Public Notice 197. Businesses may also need to apply for an import licence or provide supporting documentation to import specific types of goods into the UK, or to meet the conditions of the relevant customs import procedure. Find out more about importing and licencing requirements – see also other technical notices covering importing goods.